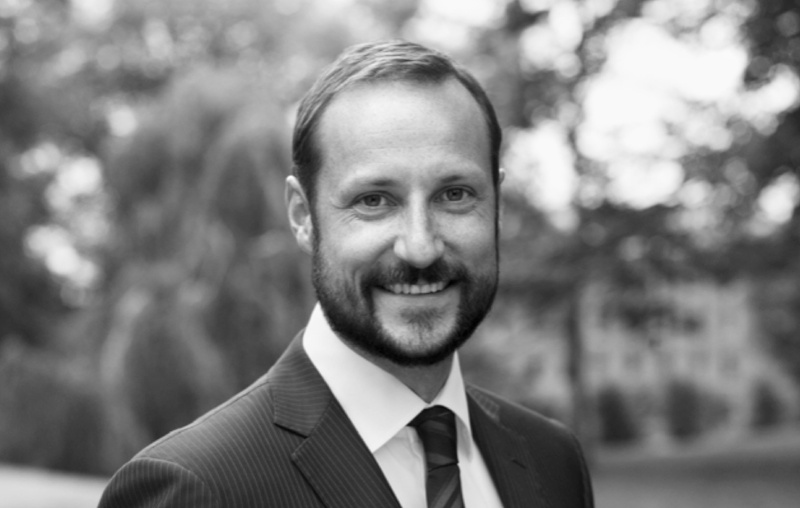 On Tuesday, October 22, 2013, His Royal Highness Crown Prince Haakon of Norway arrived in Helsinki, Finland to begin his two-day official visit. Yesterday, the future king of Norway meet with “…the President of the Republic, Sauli Niinistö and his spouse at Mäntyniemi…” according to the official website for the President of Finland. Please click here to watch a video. Click here and here to view photos. 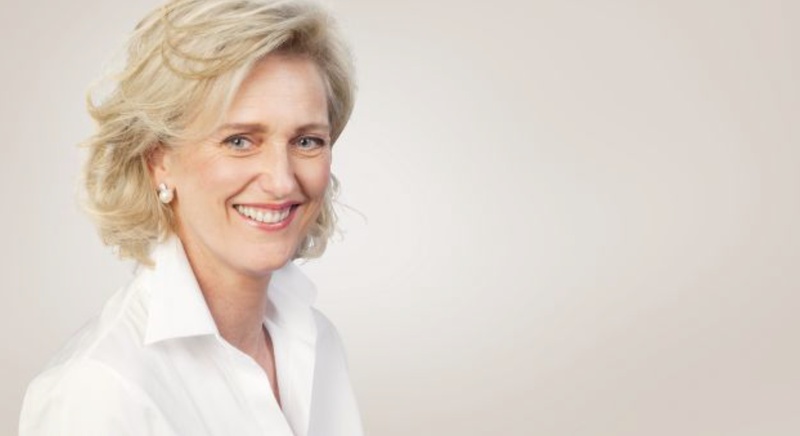 On October 20, 2013, Her Royal Highness Princess Astrid of Belgium accompanied Belgian Minister of Foreign Affairs, Mr. Didier Reynders, and several other Belgian ministers begin a seven-day economic mission to Angola and South Africa. Click the links below to watch videos as well as to view photos. 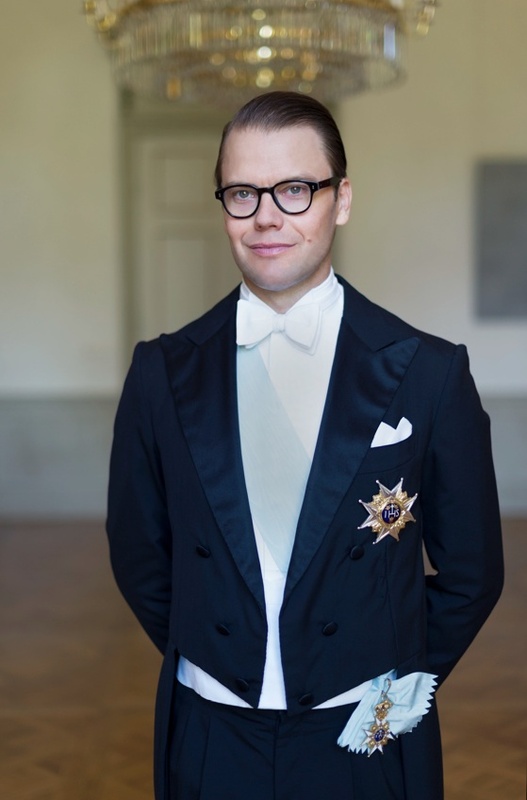 His Royal Highness Prince Daniel of Sweden Carries Out Engagements in Stockholm. On October 23, 2013, His Royal Highness Prince Daniel of Sweden with the Prince Daniel Fellowship visited the “…Blackeberg Upper Secondary School and the Royal Institute of Technology…” in Stockholm according to the Swedish royal court. Her Royal Highness Princess Caroline of Hanover Attends the Opening of a New Exhibition. On October 22, 2013, Her Royal Highness Princess Caroline of Hanover attended the opening of the Nouveau Musée National de Monaco’s exhibition, Promenades d’amateurs, at Villa Paloma in Monaco. 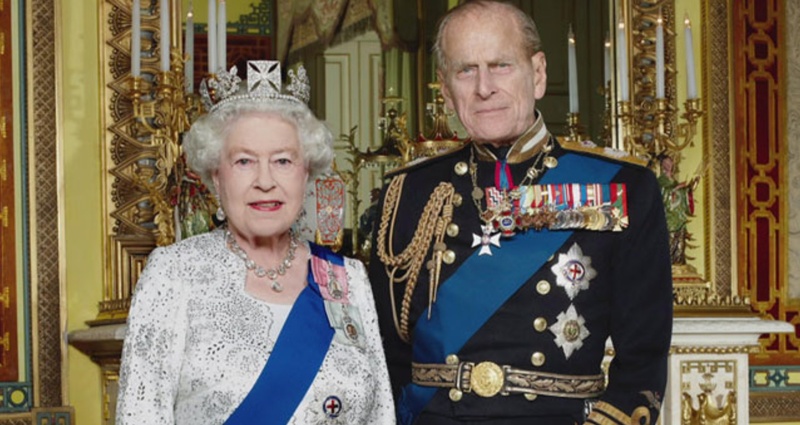 Her Majesty Queen Elizabeth II and His Royal Highness The Duke of Edinburgh Host A Reception. On October 23, 2013, Her Majesty Queen Elizabeth II and His Royal Highness The Duke of Edinburgh accompanied by His Royal Highness The Earl of Wessex hosted the Queen Elizabeth Diamond Jubilee Trust Reception at Buckingham Palace in London. Please click here to view photos. On October 23, 2013, Her Majesty Queen Rania of Jordan “…honored today a group of schools that received accreditation for the years 2011-2012 and 2012-2013 by the National School Health Standards program which is run by the Royal Health Awareness Society (RHAS) in partnership with the Ministries of Health and Education…” according to Petra News. Meanwhile, His Majesty King Abdullah II of Jordan held an audience with the United Nations and Arab League Special Envoy to Syria Advisor, Mr. Lakhdar Brahimi, in Amman. Her Royal Highness Princess Madeleine of Sweden Attends an Event in New York City. On Wednesday, October 23, 2013, Her Royal Highness Princess Madeleine of Sweden attended the Swedish-American Chamber of Commerce’s 6th Annual Green Summit in New York City. Their Royal Highnesses The Prince of Wales and The Duchess of Cornwall Meet With Ms. Aung San Suu Kyi. On October 23, 2013, Their Royal Highnesses The Prince of Wales and The Duchess of Cornwall held an audience at Clarence House in London with the Chairperson of the Burmese National League for Democracy, Ms. Aung San Suu Kyi. 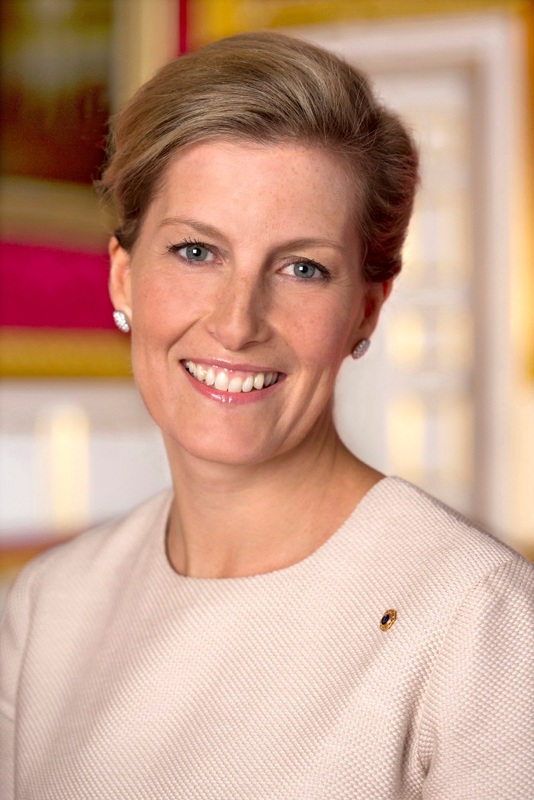 Her Royal Highness The Countess of Wessex Opens the Girlguiding Residential Lodge. Plus, Other News. On October 23, 2013, Her Royal Highness The Countess of Wessex arrived at the Somermead Campsite in Wedmore in the county of Somerset to officially open the new Girlguiding Residential Lodge. The lovely countess also visited the National Society for the Prevention of Cruelty to Children Service Centre in Bristol according to the British royal court. On Wednesday, October 23, 2013, Their Majesties King Philippe and Queen Mathilde of Belgium arrived in Eupen for a one-day visit. Upon their arrival at the City Hall Their Majesties were warmly welcomed by thousands of people as well as by the mayor of Eupen, Mr. Karl-Heinz Klinkenberf and the Minister President of the German-Speaking community, Mr. Karl-Heinz Lambertz. Prior to attending a welcoming reception held in their honor Their Majesties asked for a moment of silence in remembrance of the 11 people who died in a plane crash on October 19, 2013, in Gelbressée in the province of Namur. After the reception, where several speeches were made and signing of the Livre d’Or, Their Majesties appeared on the balcony to wave to the crowds. 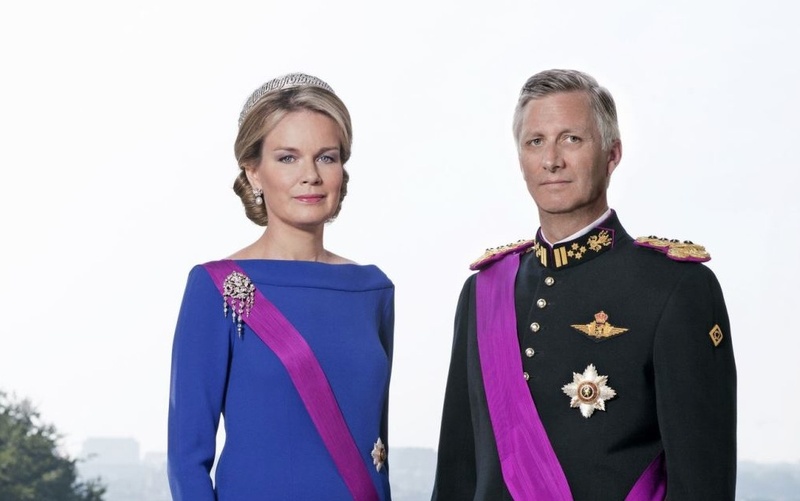 Thereafter, King Philippe and Queen Mathilde participated in a walkabout through the city. To watch several videos and to view photos please click the links below. On the afternoon of October 23, 2013, His Royal Highness Prince George of Cambridge was christened at the Chapel Royal at St. James’s Palace in London. The prince was by christened by The Archbishop of Canterbury, The Most Reverend Justin Welby with support from The Dean of The Chapel, Royal The Right Reverend and Right Honorable Richard Chartres, and The Sub-Dean of the Chapel Royal, The Reverend Prebendary William Scott. Guests attending this afternoon’s intimate christening included Her Majesty Queen Elizabeth II and His Royal Highness The Duke of Edinburgh, Their Royal Highnesses The Prince of Wales and The Duchess of Cornwall, His Royal Highness Prince Harry of Wales, Mr. and Mrs. Michael Middleton, Miss Philippa (Pippa) Middleton, Mr. James Middleton. Prince George of Cambridge’s godparents are Mr. Oliver Baker, Mrs. Michael Tindall, Mr. William van Cutsem, Earl Grosvenor, Mr. Jamie Lowther-Pinkerton, The Hon Mrs. Michael Samuel, and Mrs David Jardine-Paterson. “…two hymns, two lessons and two anthems for the christening of their son, Prince George. The Hymns are Breathe on Me, Breath of God and Be Thou My Vision. The lessons are from St. Luke ch. 18, verses 15-17, read by Miss Pippa Middleton and St. John ch. 15, verses 1-5, read by Prince Harry. The anthems are Blessed Jesu! Here we Stand (Richard Popplewell) and The Lord Bless You and Keep You (John Rutter). Blessed Jesu! Here we Stand was written for Prince William’s baptism on 4th August 1982. The anthems will be performed by The Choir of Her Majesty’s Chapel Royal. 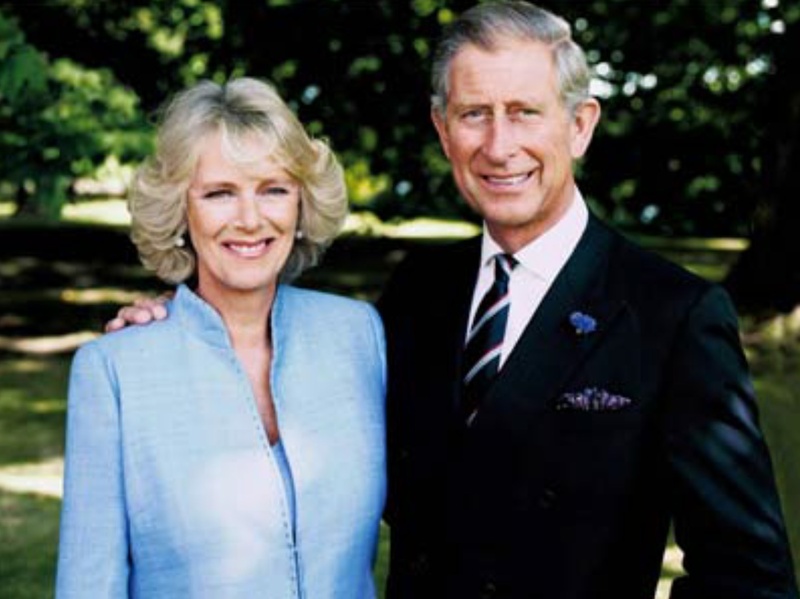 After the christening Their Royal Highnesses The Prince of Wales and The Duchess of Cornwall hosted a lovely private reception at Clarence House. The official photos of the christening, taken by Mr. Jason Bell, will be released on October 24, 2013.